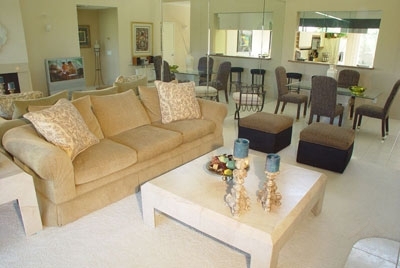 Enjoy the luxury of this 1300 sq foot Palm Valley two bedroom vacation rental condo with spectacular golf course view from the living room, kitchen and master suite. Professionally decorated, new furniture, appliances and premium mattresses. 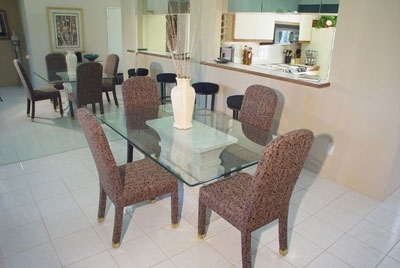 Palm Valley is a gated community complete with a state-of- the-art fitness center, a tennis courts, and a championship golf course as well as a restaurant. An Olympic sized swimming pool and jacuzzi are up at the clubhouse and over 20 throughout the club. Shopping, fine dining, theaters, and casinos are but a short driving distance away. 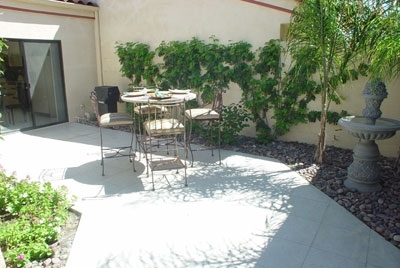 The Palm Valley community is easy access within two miles of the 10 Freeway and just down the street from the Desert Springs Marriott.